In late September 2016, Maria Pomianowska with her ensemble will for the second time perform in Korea, presenting her project Chopin & Arirang. The artists will appear at the opening concert of the Jeonju International Sori Festival, which this year celebrates its fifteenth anniversary. The musicians, together with the dancers of the Cracovia Danza ensemble, will also present the new edition of the Polish-Korean project Chopin & Arirang on the outdoor stage of the KF Cheonggyecheon Music Festival in the very heart of Seoul. Ewa Paszkowicz: How did you start your cooperation with Korean musicians? Maria Pomianowska: My cooperation with Korea began in 1996, when I visited the country for first time as the Korea Foundation grant holder, and studied, among other things, playing two traditional Korean string instruments: ajaeng and haegeum. During that visit, I learned about the shamanic sanjo music and traditional Korean opera p'ansori, which I fell in love with from the very beginning. I vividly remember going to the traditional Korean music concert for the first time and listening to sanjo and p'ansori performed live. It was a very emotional experience, because even though I didn’t understand the words the artists were singing on the stage, the sounds and vibrations permeated me, triggering the non-intellectual experiencing of the music and emotions. I realized that I was witnessing something very special, something that made me feel like drinking a glass of refreshing spring water. And I was surprised, because those musicians did everything completely opposite to what I learned at the university, and yet it was fascinating! I must admit that it was a breakthrough moment for me. It was then that I decided that some day, whenever I would have an opportunity, I would do a Polish-Korean project. Such an opportunity came first in 1996, when I was able to bring Korean musicians to Poland. They played together with my ensemble in the Witold Lutosławski Concert Studio in Warsaw. I must admit that 20 years ago Korean music was a huge surprise for the Polish audience, and yet it met with a really positive response and great interest. In 2013, I got a second chance. I visited Korea for the second time and thanks to the meeting with the Korean composer Jea Joon Ryu, who liked my music, I was able to make contact with the Sori Festival in Jeonju. Because from the very beginning I wanted to create a project combining Polish and Korean traditions, so that our music could reach a wider audience, I decided to combine Chopin’s music with popular Korean Arirang melody and launch a long-term project with a perspective of further development. I would like to stress at this point that this project is, among my many intercultural activities, quite unique, because it is only in my cooperation with Korea that we base on a common rhythm. The triplet rhythm, in Poland called the mazurka rhythm, in Korea typical for the traditional music, was the starting point of this project. When did you perform in Jeonju for the first time? We presented the project Chopin & Arirang for the first time in Korea in 2014, playing Polish and Korean pieces and improvisations combining elements of both traditions. What are your memories of beginning the cooperation with Korean musicians? For me it was very natural, because I had been doing similar projects for many years. However, I must admit that for my team it was quite a shock. Korean instruments are built in a different way than instruments from China or Japan, so the sound quality is quite different. They have different vibrations than the instruments in neighboring countries, which allows playing a very pure and natural sound. When my musicians heard those vibrations and amazing sounds for the first time, they were absolutely astounded! They were also surprised by a large dose of improvisation in Korean music, which is rarely heard in Chinese or the Japanese music. I think that the beginning of our cooperation on the project Chopin & Arirang was also not easy for the Korean musicians. They are extremely talented, outstanding artists who were naturally eager to follow my idea from the beginning, but it took us a while to reach mutual understanding and make a good team. And how did this situation change during the second edition of the project at the Crossroads Festival in Kraków in 2015? Well, by then it was completely different! It was evident that the Koreans felt at ease, they knew very well how far they could go. This shows that a long-term cooperation really makes sense. I think the performance was twice as good as in the first edition, as evidenced by the great response from the Polish audience, who particularly enjoyed the elements of expressive p'ansori singing at our concerts. Could you unveil the mystery what can we expect this year? This year we are planning to present our project in Korea, expanded by including dance performance. I have been collaborating with Romana Agnel, choreographer and founder of Cracovia Danza for several years. Cracovia Danza is a court ballet company who carries out a lot of intercultural projects, just like I do, for example in India or Iran. They base on the perception of similar gestures, such as hand movements, comparing the meaning of various movements in dance. Romana Agnel has long been interested in the Korean dance, so, with her experience, it will be easier to find out what gestures the Polish and Korean dances have in common. So what is the programme of concerts of the Chopin & Arirang project? First, on the occasion of the 15th anniversary of Jeonji International Sori Festival, we have been invited, along with other musicians from around the world, to take part in the opening gala concert. The great concert hall will host 15 ensembles, including our dancers, performing together and I must admit I'm very curious of the result. From what I know, it was our project that was the inspiration for this show, because the festival has not carried out this type of collaboration between musicians so far. As to the Chopin & Arirang project, we are planning to start with a presentation of Polish and Korean music. Then we will play compositions combining elements of both traditions, the so-called conversations, during which Polish and Korean dancers will give a performance, which I hope will prove that we are able to communicate and find common ground in both music and dance from Poland and Korea. Just like in 2014, this time we are also planning workshops to be held on the last day of our stay in Jeonju. I would like the Korean audience to be able to learn more about Polish dance, the most popular gestures and their meanings. And what is your favourite Korean instrument? An instrument that you would like to learn to play? My favourite instrument is daegum, the Korean flute. It is a very special instrument, with incredible sound possibilities due to the way it is built. It can make vibrant or buzzing sounds, and sometimes it even sounds like a human voice! I am very happy that we are fortunate to have a very talented, brilliant daegum musician in our ensemble. What can you tell about the International Sori Festival in Jeonji? What is the atmosphere there? It is a wonderful festival, listed by the Songlines Magazine among the best festivals in the world. It is very well organised, with a lot of fantastic volunteers who are very helpful and take care of each group of foreign musicians. The concerts are held outdoor in the beautiful surroundings of the old town and in the large cultural complex of the Sori Arts Center in Jeonju. I’ve heard that after the concerts in Jeonju you will be also performing at the KF Cheonggyecheon Music Festival in the very heart of Seoul? Yes, we are honored that we will be able to perform not only in Jeonju, but also for the audience of Seoul. What is important, it is that we were invited to this festival along with Korean musicians, so we will have the chance to play a unique concert and show how much our musical traditions have in common. 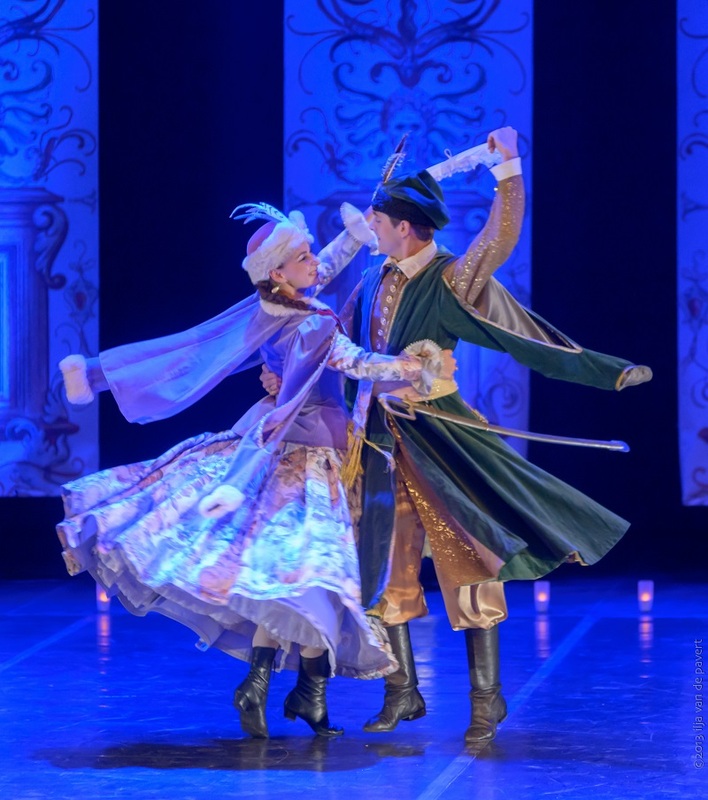 It is worth mentioning that the Polish dancers will be also performing with us and the Korean musicians, presenting Polish dances and elements of Korean dance. Do you plan to continue your cooperation with Korea? Absolutely. Next year we are planning another edition of our Chopin & Arirang project with even more dance to be presented at the Cracovia Danza Festival in Kraków. I hope that the Korean artists will perform not only in Kraków, but they will also have the chance to present themselves in other Polish cities. Thank you very much and welcome to our concerts in Korea!